Remember Charity, the 12 year old girl whose mum requested popular Kenyan gospel singer Bahati to visit her at Kenyatta National Hospital? She is no more. 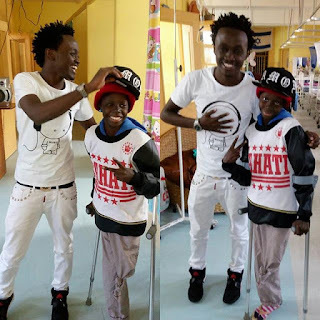 According to Bahati who first broke the sad news on social media, he received a phone call on Monday that Charity, who was admitted with cancer at the referral hospital since January this year, had passed on.